Can easily and naturally reach back teeth. Properly catch stains at the back of molars. Can properly reach between teeth. Compact and completely fit tooth surface. Compact head is designed to fit small sizes of women's mouth. Easy to move. Curved neck can reach the farthest back teeth. Easy-to-grip handle is apecially designed for women. If you have any questions about this product by Ruscello, contact us by completing and submitting the form below. If you are looking for a specif part number, please include it with your message. 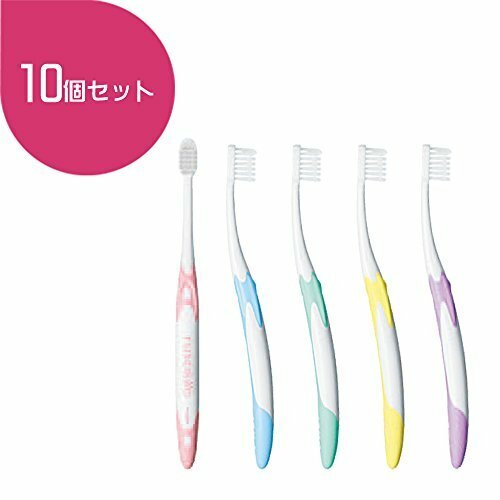 GC Ruscello B-20 Toothbrush M 10 count (Made in Japan). Compact head for small mouth. Whitening and anticavity effects. Fashionable design. With brush cap.